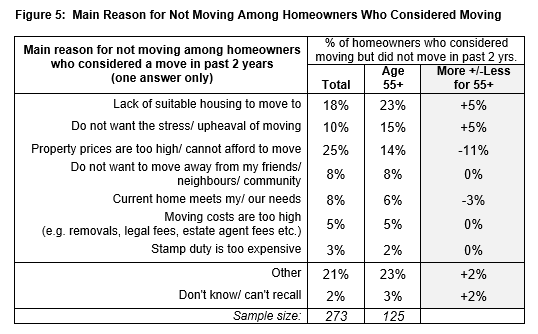 Claire Carponen takes a look at the HomeOwners Alliance Annual Homeowner survey finding that there is a lack of suitable housing for last-time buyers. If you were looking to buy something that would need to last the rest of your life, chances are you would take some time making sure you bought the right thing. Now imagine that the thing you need to purchase is in short supply. That’s the position that last-time buyers are in. Making the decision to leave the home you have lived in for decades and probably have seen your children grow up in is not easy. But the next step – finding a suitable home to move into – is even more challenging. Thanks to the housing crisis, it’s become a lot harder for first-time buyers to find homes they can afford to buy. But last-time buyers, it could be argued, have it equally as tough. The homes they are looking for also need to be affordable and they have to suit their current and potential future needs. 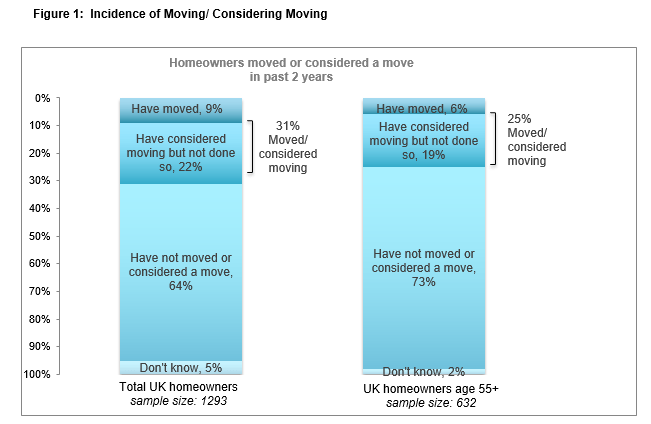 According to the annual Homeowner Survey conducted by YouGov for HomeOwners Alliance and BLP Insurance, one in five (19%) homeowners aged 55 or over considered moving in the past two years but have not done so. A lack of the right kind of homes is the main reason for older homeowners deciding to stay put (23% of homeowners age 55+ who considered a move in the past two years say this is the primary reason for not moving). This equates to more than 500,000 homeowners. Clearly not enough investment is going into creating homes that appeal to older people. There needs to be more focus on why more retirement homes are not being built. Only 1% of the UK population live in retirement homes, showing that there is huge potential for growth in this market. Developers and housebuilders should be building homes with older buyers in mind. Deluxe flats in inner-city schemes are often snapped up by downsizers because they offer amenities that appeal to older homeowners. These amenities are often the same things that most homeowners want but they are of greater importance to older homeowners. According to HomeOwners Alliance’s Homeowner Survey, good build quality (71%), spaciousness of rooms (72%) and parking (69%) top the list. However, compared with UK homeowners generally, a greater proportion of homeowners age 55 or older identify availability of parking (77% vs 69%), low running costs (70% vs 59%), proximity to shops (66% vs 55%), good transport links (56% vs 47%) and living on one level (36% vs 24%) as important criteria in their next new home. 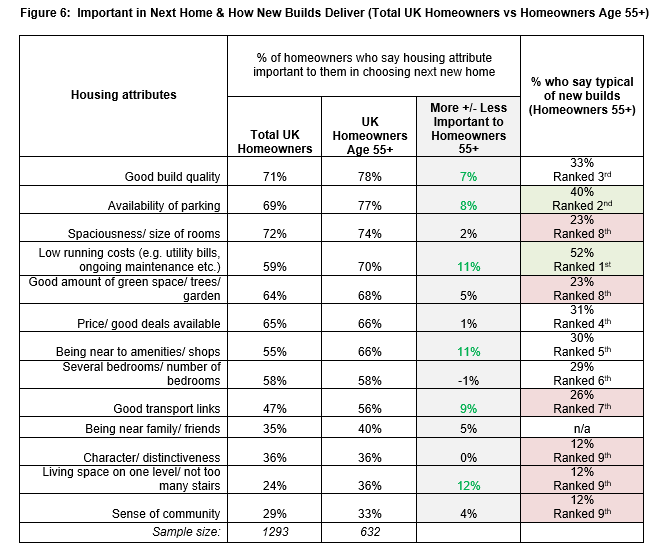 When considering new build properties as an option, older homeowners see new builds as being particularly strong on low running costs (52%) but less likely to deliver on spaciousness of rooms (23%), the amount of available green space (23%) and providing living on one level (12%). Being near to amenities and good transport links are also aspects that are seen as less typical of new build homes. The new housing minister Gavin Barwell has the unenviable job of trying to tackle the UK’s growing housing crisis. But while the focus has previously been on helping first-time buyers, more needs to be done to help last-time buyers. If more last-time buyers were enabled to move out of under-occupied homes, much-needed family homes would be put on the market. It’s not just housing that needs to be looked at. There is a dearth of mortgages for older homeowners. Financing the purchase of a new home becomes trickier if you are aged 55 and over. Many banks will lend into retirement but only up to a certain age, which may reduce the length of the mortgage term, making the loan more expensive.